For 230 years, global pharmaceutical giant Takeda (“Takeda-ism”–Integrity: Fairness, Honesty, and Perseverance) develops and brings to marketing new products that advance treatment in a number of therapeutic areas worldwide. These therapeutic areas include gastrointestinal, oncology, cardiovascular, central nervous system and other therapies. New healthcare solutions from prevention to care and cure help people enjoy their lives to the fullest. 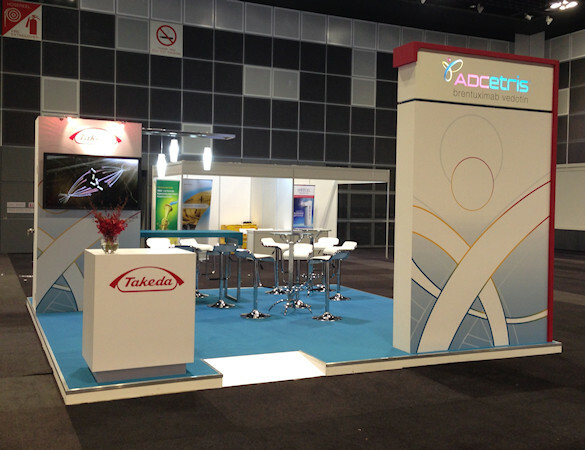 Idea International produced this particular exhibit for Adcetris–a drug that extends the remission period of certain types of cancer—to be used at the American Society of Hematology (ASH) Singapore.